Try a class before you enroll! Music Together® Sing Shalom music classes combine everything you love about the internationally recognized Music Together early childhood music education program with a carefully selected collection of familiar (and not-so-familiar) Jewish songs from throughout the world. 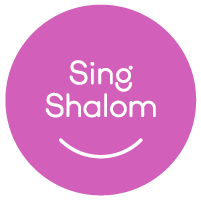 Music Together Sing Shalom classes introduce Jewish themes, holidays, and celebrate community through song, supporting parents and caregivers in introducing their children to a diverse, culturally rich Jewish musical heritage. You’ll learn lots of ways to interact musically with your child, supporting their development, strengthening family relationships, and helping them connect with the Jewish music tradition. Sign up to visit a class for free to experience it for yourself.